On 17 January 2019 Kiel continues to pursue its growth course in passenger traffic posting a 4.2 % increase with 2.2 million travellers. At the same time, the port’s cargo sector was unable to match the top results of the reference period (2017: 7.4 million tons, +14.3 %). In order to further improve the port’s infrastructure, investment activities have accelerated once again. A very strong focus lies on the protection of the environment. The ferry traffic sector is the core business of the port and with 6 million tons, it makes up 80 % of the overall transhipment activities. 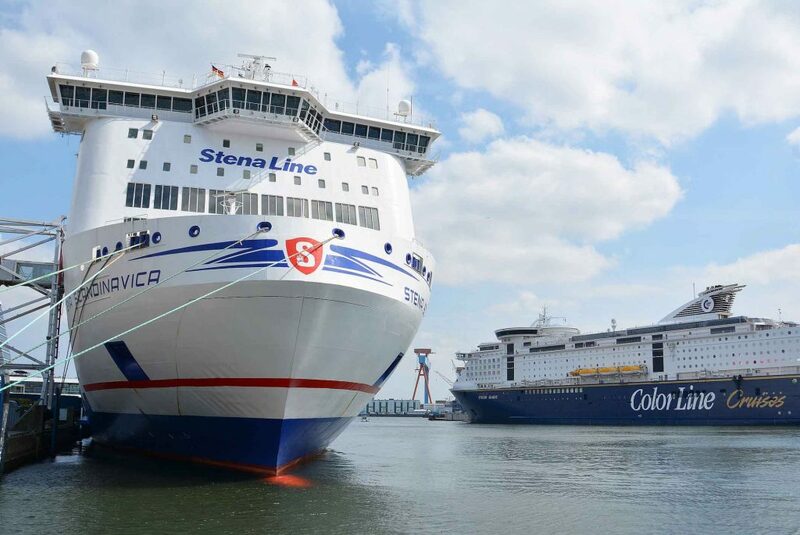 While the liner services to Norway (+2.3 %) and to the Baltic States (+1.6 %) show growth, 10 % less tons of cargo were transported on the Kiel – Gothenburg route. 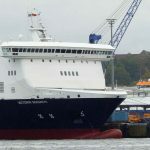 One of the reasons is a long layover at the shipyard for “Stena Scandinavica” at the beginning of last year as it was fitted with a modern exhaust gas cleaning system and was not available for service during that time. The weekly liner service to and from Russia remained nearly at the same level due to continuing mutual restrictions on trade. The bulk cargo handling sector concluded the year with a drop of 2.0 % at 1.2 tons. 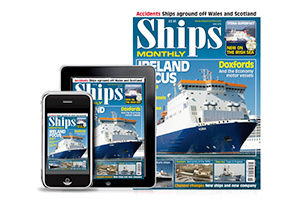 Again the biggest single volume was handled on the Kiel-Klaipeda service of the DFDS shipping company last year. Its frequency had even been augmented intermediately with an eighth and ninth departure in autumn. 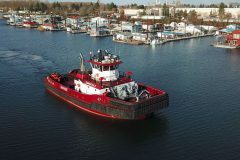 Dirk Claus: “Kiel was able to maintain its position last year with regard to the ferry traffic to the Baltic States, to West Sweden and Norway. In addition, the forest product handling business has firmly established itself.” Since the inauguration of the SCA Terminal in autumn 2016, well over 1.5 million tons of paper products of the Swedish groups of SCA and Iggesund have been transhipped via the terminal in Kiel. 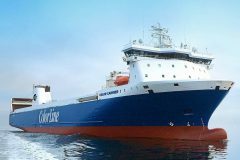 The Color Line shipping company expands its cargo business by operating the supplementary freight ferry Color Carrier on the Kiel-Oslo route since the beginning of January. The roro-freighter offers three round trips a week which complement the daily departures of the large passenger ferries. In the first instance, the Norwegenkai was integrated into the schedule of the Hamurg-Billwerder train shuttle operating from Mondays till Fridays, which reaches all national combined transhipment stations overnight. In the past year, nearly 29,000 trailers and containers were loaded onto wagons in Kiel. As the train connection to Trieste has been suspended, the planned milestone of 30,000 units could though not be reached. Dirk Claus: “Through the integration of the Norwegenkai into the rail schedule, the intermodal volumes will grow again this year. We are working on further direct train links together with our partners.” In order to promote the competitiveness of the rail freight transport, two infrastructure expansion projects are underway. The shunting station will be upgraded and a third track will be built at Schwedenkai. The PORT OF KIEL is currently investing more than 30 million Euros in port expansion and environmental protection. The port apron of the Ostuferhafen will be redesigned by spring so that logistical processes can be optimized and the hard standing space for trucks, trailers and cars will be expanded. In the meantime, the construction works for the first onshore-power supply plant of the commercial port are in full swing in the city port. The plant, which will supply eco-friendly electricity to the vessels of Color Line, will be completed by Easter. At the same time, a Europe-wide tender for onshore-power supply plants to be installed at Ostseekai and Schwedenkai is being prepared. Dirk Claus said: “50 % of our entire investments are dedicated to environmental protection. It is our aim to cover some 60 % of the energy needed by the vessels calling at Kiel with on-shore power.” The largest individual investments of the Port of Kiel are the on-shore power supply plant at the Ostseekai and the brand-new second terminal for cruise passengers, amounting to 13 million and 9 million Euros. The new building of 3,700 m² abuts the existing one on its northern side and the two of them will form an ensemble. 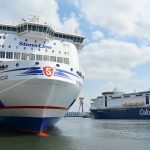 Up to now, two cruise ships have been handled at one Ostseekai Terminal, however, in the future there will be a dedicated building for each ship. Last year, Kiel was visited on 169 separate occasions (143 in 2017) by 34 different cruise ships with a total gross tonnage of more than 11.5 million – an increase of 15.3 % over the previous year. Nearly 600,000 cruise passengers boarded or left a cruise ship at the different terminals, an increase of 16.5 %. Dirk Claus: “We will surpass these cruise business results again this year. 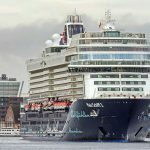 The highlights will be Mein Schiff 2, AIDAprima and MSC Meraviglia in Kiel.” To date 179 visits to Kiel by 33 different cruise ships have been registered. Total gross tonnage will increase to over 15 million and the number of passengers could reach 620,000. The most frequent guests this season will be the ships of AIDA/Costa, TUI Cruises and MSC with AIDA and TUI Cruises calling at the port with 4 different vessels each. The biggest cruise ship this year will be MSC Meraviglia with 171,600gt and offering 5,700 passenger beds. 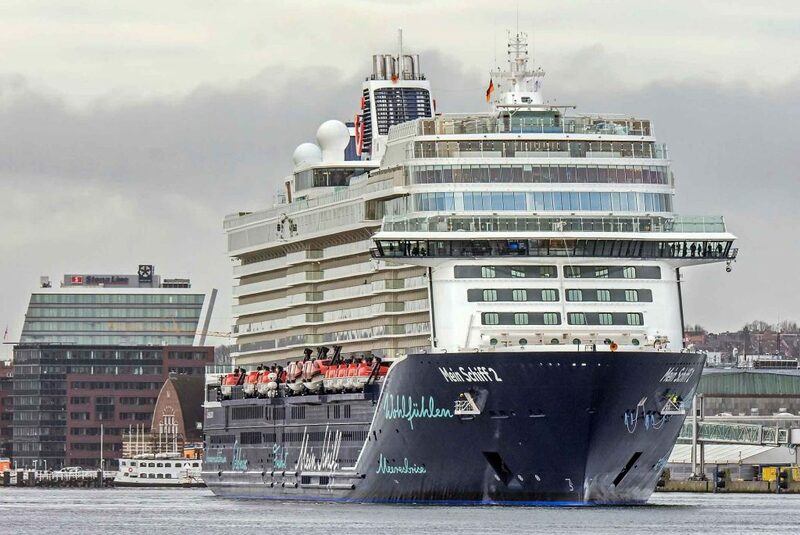 New visitors will also be Nieuw Statendam of Holland America Line as well as AIDAprima which will be the first cruise ship to be supplied with eco-friendly LNG during its stay in port. The regular season will start on 31 March with a visit by Viking Sky and will end mid-October. 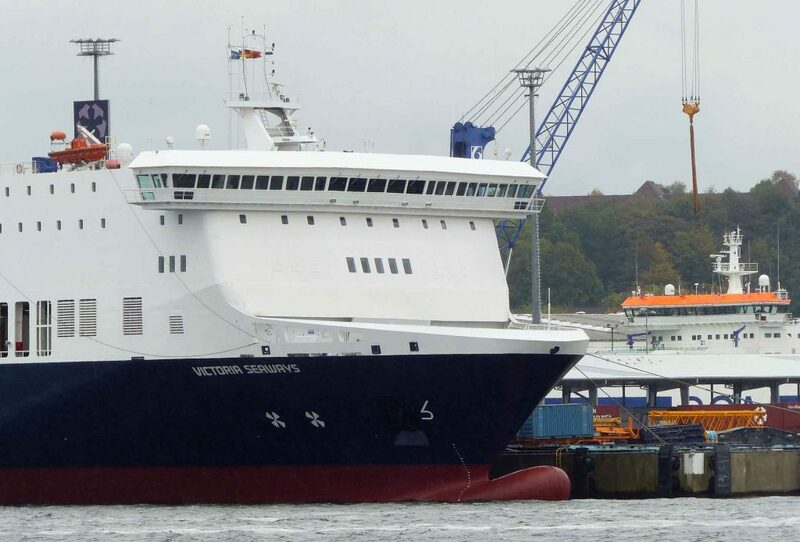 At the moment, however, the latest newbuild of the Meyer Turku shipyard, Mein Schiff 2, can be seen in Kiel. It will be handed over to the shipping company of TUI Cruises on 22 January.